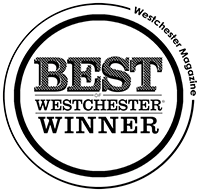 Named “Best of Westchester” and “Spa of the Decade”. Named “Best of Westchester” and “Best of the Decade”, Oasis Day Spa, conveniently located on the Saw Mill River Parkway, brings the Manhattan day spa experience to Westchester County. Enjoy our 15 treatment rooms, couples room, beautiful outdoor Rooftop Garden, private event space, and our extensive spa boutique. Oasis Westchester has brought the Manhattan Day Spa experience to Westchester County.